1.0 Credits Health/Phys. Ed. 1.0 Credits Health/Phys. Ed. Honors diploma will be awarded to those students who have taken the above core credits in the Honors/AP program. Students are not permitted to enroll in more than five (5) study halls per week. Students will be placed in a course if they chose not to elect one. 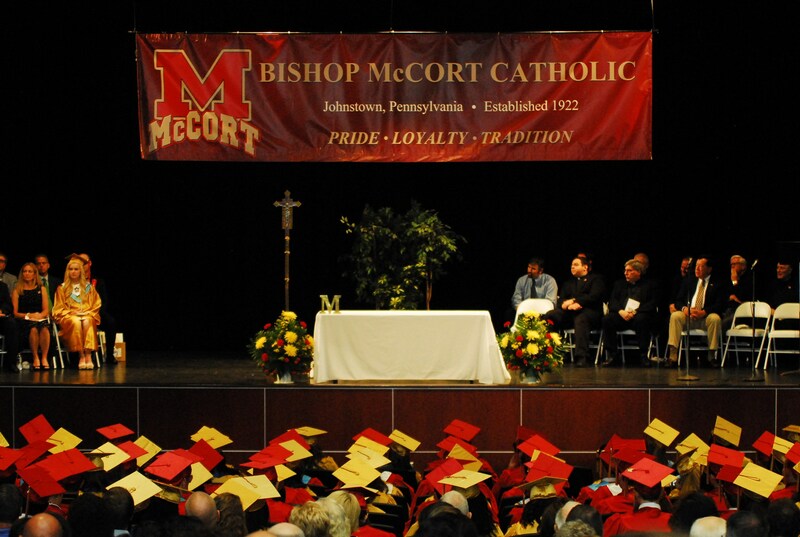 Each Bishop McCort student enrolls in a minimum of seven (7) periods of classes each semester. These courses represent class instruction for 36 weeks. Students must have parent permission for the courses that they are taking through course registration forms.